A lucky player from Norway won a record amount at Casumo last week. It is the biggest amount won at Casumo ever (bet versus payout, non jackpot). And of course it happened on the beloved Dead or Alive slot game by NetEnt. This highly volatile game can really payout big during the free spins feature. From what I know the player had a total of 4 wild lines during the free spins and these wild lines must have dropped in early. His €0,90 bet paid a total of €8.146,-. That is a HUGE win! The lucky player is going to pay off some loans, but also put some money back into his Casumo account. That’s an honest gamblers, I love it! Casumo is also one of my favorite NetEnt casinos. The casino is unique, offers good, honest bonuses and games from NetEnt, Williams Interactive, Quickspin, Novomatic and more. And always fast payouts. I am a big slot lover myself and my biggest wins contain Dead or Alive two times. 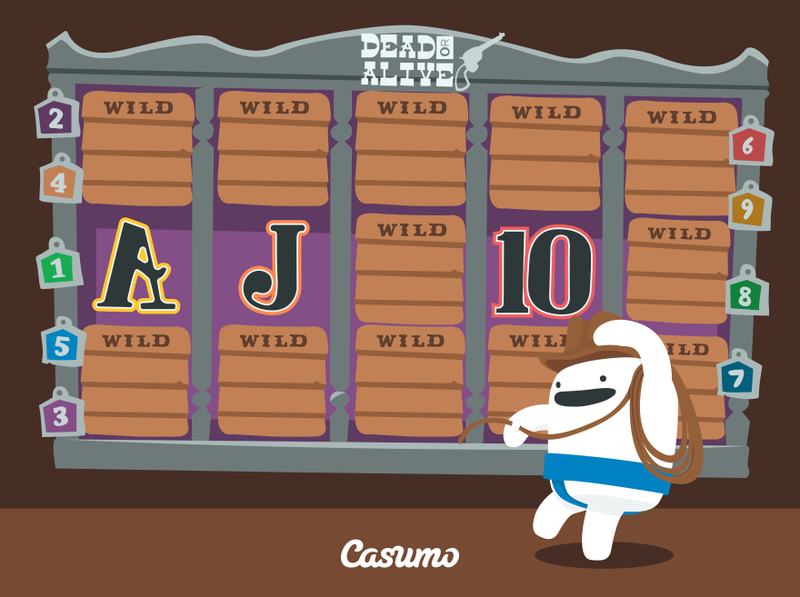 So if you like risky slot games, but with a chance for a huge win, try Dead or Alive yourself. But be aware, this game can be brutal on your bankroll.